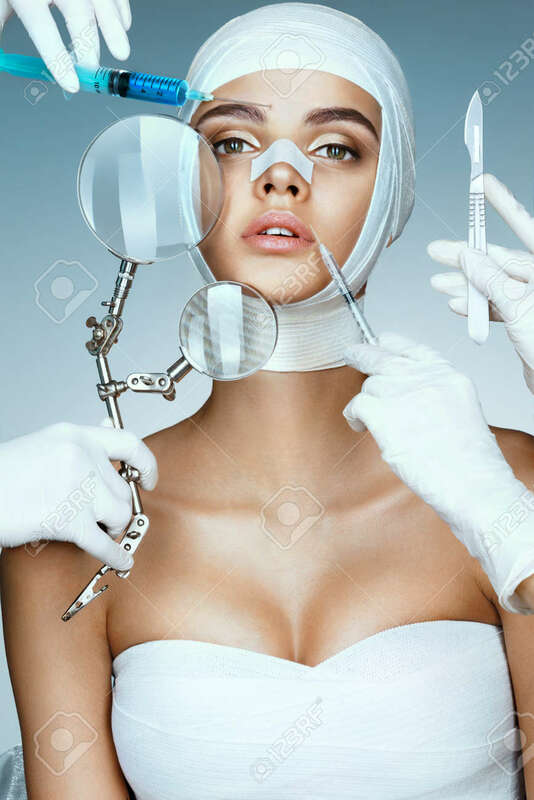 Beauty Victim Wrapped In Medical Bandages While Doctors With Syringes, Scalpels And Magnifying Glass Near Her Face. Beauty Concept Royalty Free Fotografie A Reklamní Fotografie. Image 64802125.